Youth Climbing Club is a great way to introduce your child to the world of rock climbing. From 4:30 to 6:30 we offer semi structured game based activities that will cultivate a passion for the sport. The cost is $5 for members and $10 for non members per session. Recreational Teams are for brand-new climbers that need to learn technique, terminology, safety and etiquette information to prepare them for participation in our Intermediate Team. Practices Tuesdays and Thursdays from 4:30-6:30pm. Memberships are required along with a $50 monthly team fee. Intermediate Team is focused on introducing climbers to training and exercises aimed at improving their climbing abilities. There is no specific "sending ability" required. Competition in the USA Climbing circuit is encouraged, but not required. Practices Tuesdays and Thursdays from 6:00-8:00pm. Memberships are required along with a $50 monthly team fee. There is no specific "sending ability" required, but higher skill and dedication levels are expected in order for a climber to be considered for this team. Participation on this team includes a strong emphasis on attitude, sportsmanship, and dedication to the sport. Competition in the USA Climbing circuit is strongly encouraged, but not required. Practices Mondays, Wednesdays and Fridays from 6:00-8:00pm. Memberships are required along with a $75 monthly team fee. There is a minimum v6 and 5.12a (lead) skill level required. Members of the Elite Team are required to participate in bouldering, sport and speed competitions. Strict attendance and punctuality is also required. Practices Mondays, Wednesdays and Thursdays from 5:00-8:00pm. Memberships are required along with a $100 monthly team fee. 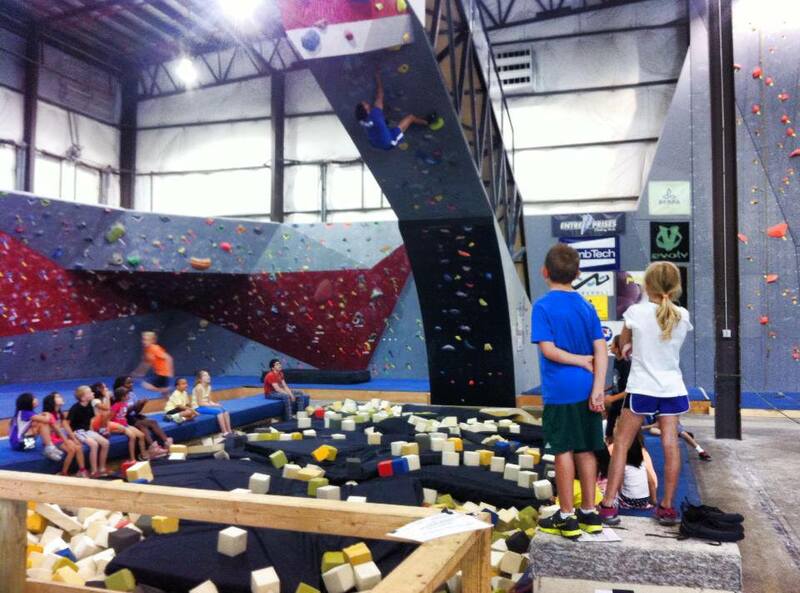 Team Hoosier Heights seeks to develop youth athletes into strong, respectful, healthy and responsible climbers. Development of athletes on our Team stems from a concern for the athlete as a whole person, inside and outside the gym. We believe in building a strong foundation of trust and community between the members of our Team, and work to instill positive decision-making abilities in each athlete so they are able to continue their development as climbers when they leave our Team.